Almost sixty percent of online educational providers are ready to kick their LMS to the curb. As a software development firm, DDI is interested in how these trends affect coding and coders. When their blog says, “New e-learning companies create new learning trends, as their online community is very flexible and quick to abandon LMS solutions that do not meet learners’ needs,” they are seeing opportunities for programmers to write the code that provides the new solutions e-learning companies are shopping for. When VMEdu sees this trend, they know they have that solution already. “Backend as a Service – That’s the one of the trends underlined by Martin Puryear on TechCrunch. Third party services that support chunks of backend tasks are faster to apply than repetitively building generic things. That helps to focus on innovative and competitive aspects of a product,” is a trend Marina Blinova cites in her article on LinkedIn’s Pulse. VMEdu believes that by providing professional trainers and educational organizations with one of the industry’s most robust LMS, those educators can focus on developing the best educational experiences and value for their students. VMEdu began creating its LMS more than seven years ago. They tested it thoroughly by launching multiple courses and websites, which have now become global leaders in their fields, teaching more than 500,000 students from 150 countries and 3,500+ companies. The VMEdu LMS is hosted on a scalable cloud infrastructure and already hosts hundreds of courses, with more than 50,000 learning resources including videos, questions, case studies, simulated exams, flashcards, study guides and more. With its professional training and accreditation bodies, innovative LMS and extensive network of training partners, VMEdu has grown to be an industry leader. 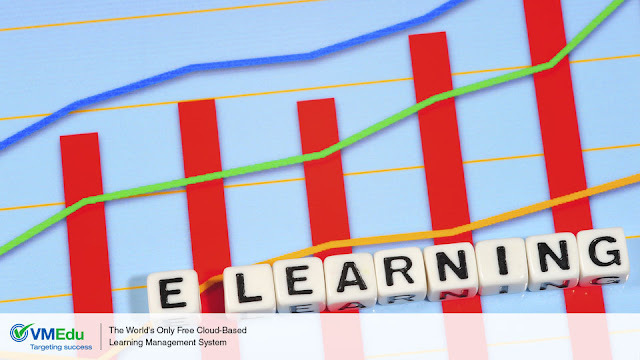 That growth is one of the most reassuring trends in e-learning today.